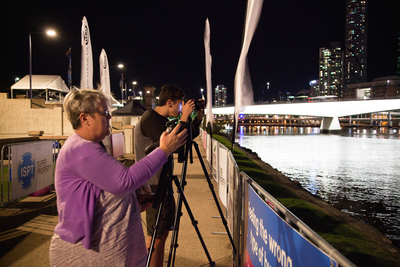 Take your camera skills further by venturing into Night Photography, where you'll learn some creative camera techniques whilst adding some shots to your personal portfolio. 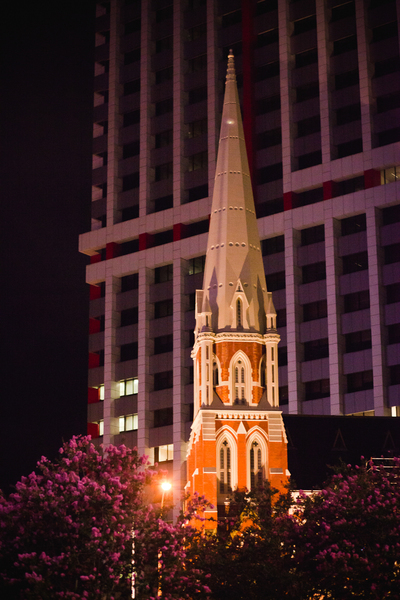 This class takes you on a walking tour around Brisbane’s CBD, so you can practise your newfound skills on your surroundings. By the end of the class, you’ll have created your own stunning nightscapes. 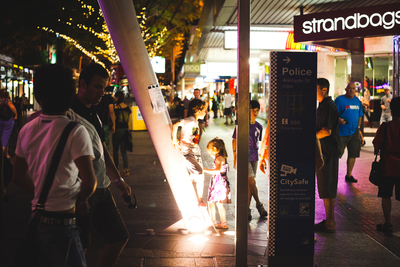 Your experience doesn’t stop once the class ends - you can share your photos with your peers on the Photoh Facebook wall and there's also a Brisbane Photography Facebook Group, where members can exchange photography tips, ask questions and receive constructive criticism on photos. Let Photoh help you create beautiful moments with every click of the shutter. 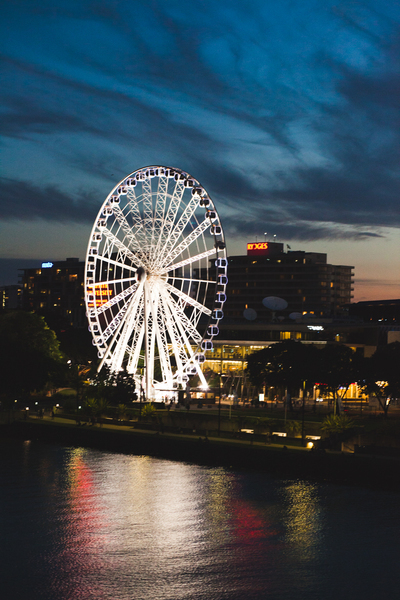 The Brisbane Night Photography Class appeared on Channel Seven's The Great South East. It was really well organised and the presenter Catherine really knew her subject well. Very informative and I improved my general photography knowledge also. Catherine did an excellent job. Catherine took me from a beginner only using full auto to a point where I can use manual with confidence & understanding. Also ended the night with a couple of cracker photo's. She took the time to explain everything in a manner that was easy to grasp. Well done Catherine. Thank you and it was great Catherine is so helpful and nothing seemed to much trouble. Would thoroughly recommend. Catherine is such an awesome tutor. I never knew my camera is capable of so many functions! I really enjoyed the content and as a result I am much more comfortable with my manual settings. Catherine explained things well and was very patient with all the questions. Good class size as well. Katherine was very knowledgable we both enjoyed the class. I thought it was a great beginner course in night photography. Catherine gave us great notes to read beforehand and to keep for reference afterwards. She explained everything clearly and slowly and no question was a problem. She gave us all equal help and guidance, regardless of our camera ( we just had a little compact) She took the technical information slowly, ensuring we understood. I would recommend this starter course. It was informative and pretty relaxed due to there only being two of us. Catherine was very helpful and gave us the opportunity to not only take a fair few photos but also spent one on one time with us when we had specific questions or assistance. This event is very useful and it helps me to learn more about photography. It helps me to understand the all settings in DSLR. I really enjoyed the evening and I thought that Catherine's ability to teach the basics in the use of manual setting was excellent. catherine was amazing, learnt so much in a short space of time, best $99 spent, well worth it. Will be back for other classes. This was a really good informative course - Catherine was very friendly and had lots of great tips and advice. Catherine's enthusiasm was infectious and I now feel capable of using manual mode. Good course. Always good to learn new tips and techniques. Catherine is a fine teacher. She took us quickly through the basics, giving us practical on-the -spot exercises to explore the capacity of our cameras. Then we set off to capture the lights and Catherine was with us all the way, making non-intrusive and helpful suggestions. The crowds in the city were packed but miraculously Catherine was able to round up the students as we moved from site to site. By the end of the evening we were confident in using manual settings for night shots. I thought the course was good. A good mix of practical advice and practical experience. As a beginner I found this course to be very informative but very simple to follow. I learnt so much in such a short time and I can't wait to put it all into practice. Catherine was very experienced and made a very complex topic very easy to follow and to put into practice! Catherine is an excellent tutor. She explained the camera techniques clearly and gave great support to everyone present.